How do you like your barbecue sauce? Sweet, tangy, smoky or spicy? If you are like me, maybe it's all three! 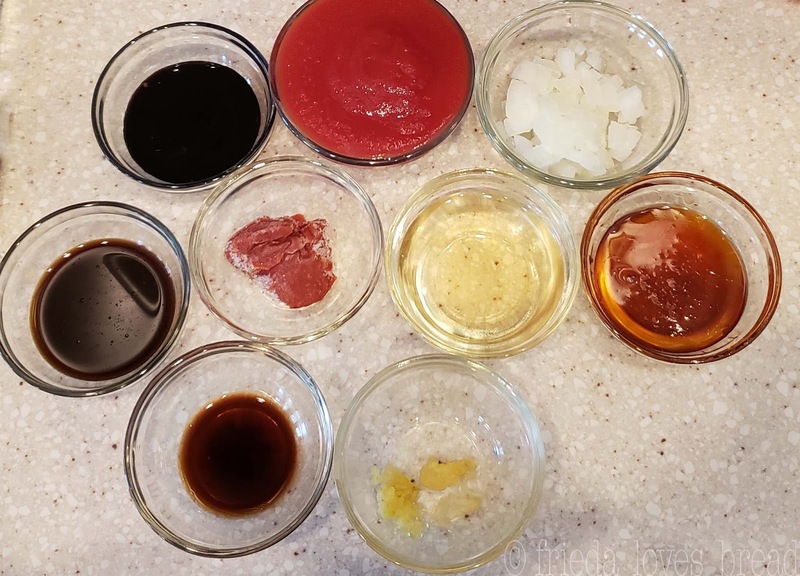 Why make your own barbecue sauce? Make it how you like it. You can adjust the recipe to your taste. Don't like vinegar? Then reduce it or leave it out. Want it sweet? Add more honey. Love it spicy? You can add as little or as much heat as you want. Simple ingredients. You may find that your favorite sauce contains high fructose corn syrup (HFCS), caramel coloring, or other ingredients that are not part of your diet. It's easy to make. 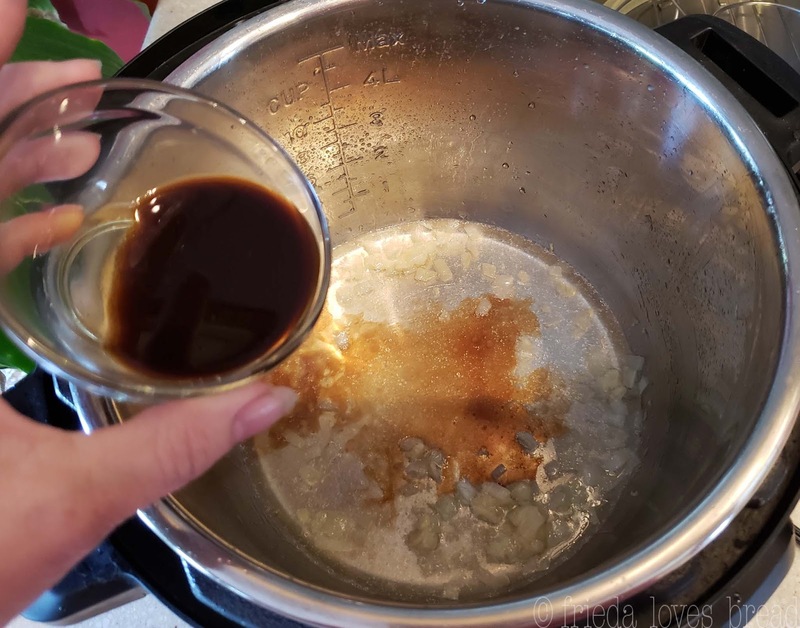 Most of the recipes that I found have you simmer your sauce on the stove, anywhere from 30-60 minutes, which blends all the flavors together. It's even faster and easier if you use your pressure cooker! You can make a variety of flavors. 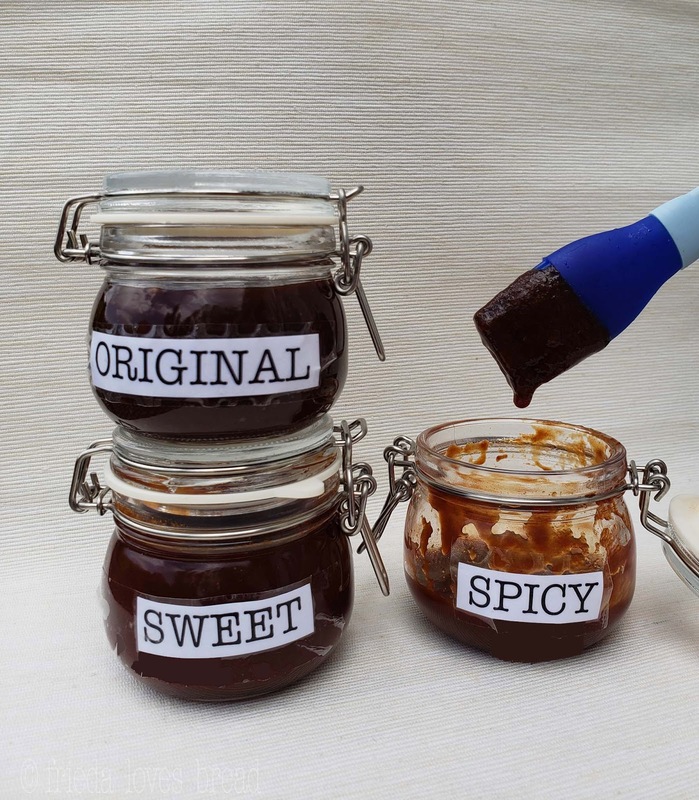 You can make one batch of barbecue sauce, divide it up, and create three or more unique flavors. The basic original sauce is a perfect blend of smoky, sweet and tangy, much like a Kansas City barbecue sauce. One of my kiddos likes his extra sweet, so adding some more honey balanced out the tang for his palate. Hubby and my adult son love theirs spicy, so cayenne pepper gives their sauce the heat they want. 1. 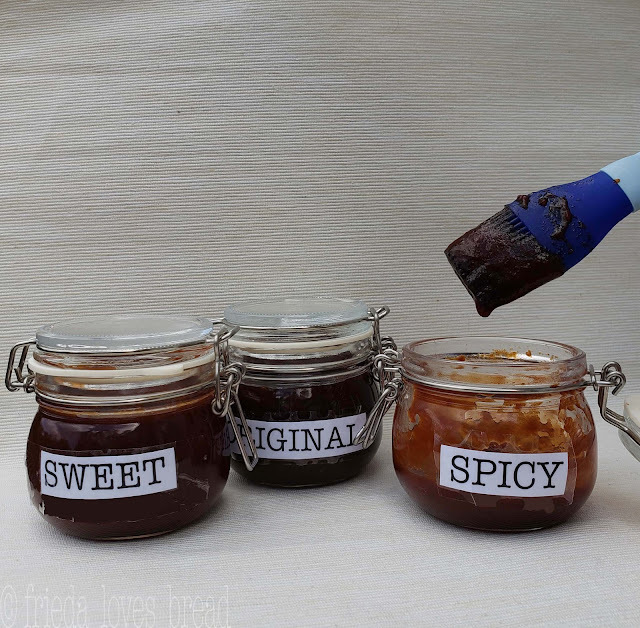 Gather all your ingredients and you will find that making your barbecue sauce is very quick and easy! TIP: freeze your chopped onions, garlic cloves in the skin, and tomato paste for easy prep. Simmering barbecue sauce over the stove, melds all the flavors, gives it body and substance. I didn't have the time or energy to watch & stir it over the stove, so I thought, "Why not try this in the pressure cooker?" I'm so glad I did! Pressure cooking has a way of pushing all the flavors into the sauce in a much shorter time than simmering over a stove. 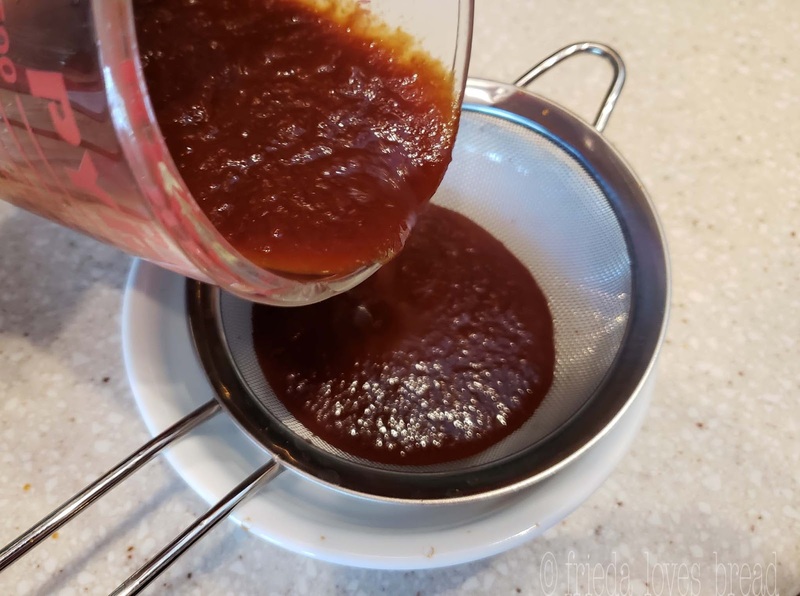 Once all your ingredients are gathered, making this barbecue sauce is so simple and easy. TIP: pressure cooking requires a minimum amount of liquid to bring the cooker up to pressure. This amount can vary from size of your cooker to the recipe being used. 2. Saute the onions, stir in the garlic, heat your spices in the oil, and then pour in your ingredients. Starting with the thinnest liquids will help bring your cooker up to pressure. Apple cider vinegar - this vinegar is mild. Try making your own; it's easy! Molasses - I used original flavor. You can use mild, light, or original flavor. 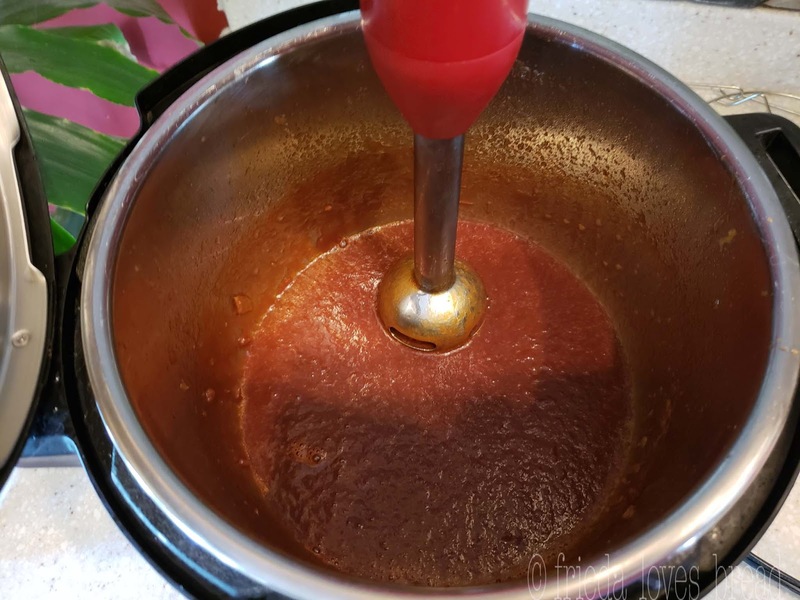 Tomato paste - freeze any leftover tomato paste for other recipes. 4. Close the pressure cooker, select high pressure, 5 minutes and use a quick release. 5. After opening, you can use an immersion blender to puree the onions & garlic into a smooth sauce. If you don't have access to an immersion blender, you can push your sauce through a fine mesh strainer. 6. If you want a thicker sauce, you can use your saute LOW setting for 5-10 minutes, but you will need to stir it every couple of minutes. This will not only thicken your sauce, but concentrate the flavors. Another option to thicken? Make a slurry of 1 Tablespoon cold water + 1 Tablespoon cornstarch. Stir it into your sauce, and over low heat (saute Low), it should thicken in a minute or two. Barbecue sauce is great alone for hamburgers, as a marinade for chicken, slathered on ribs, chicken, BBQ shredded chicken, meatballs.... You will enjoy making your own sauce and finding many ways to use it in your recipes. Making your own barbecue sauce has never been easier. One recipe, three different sauces. Simmer to thicken, or add a cornstarch slurry. Will keep in the fridge for up to 30 days or in the freezer for up to 3 months. Enjoy! OPTIONAL: For a thicker sauce, mix together 1 Tablespoon cold water + 1 Tablespoon cornstarch. 1. Add 1 Tablespoon oil to pot. Select saute LOW and add chopped onions. Saute until softened, about 2 minutes.2. Add garlic and smoked paprika, stirring until fragrant, about 1 minute.3. Turn pressure cooker OFF. Add 1/4 cup water and stir, making sure there are no cooked bits of onion or spices on the bottom of the pot.4. 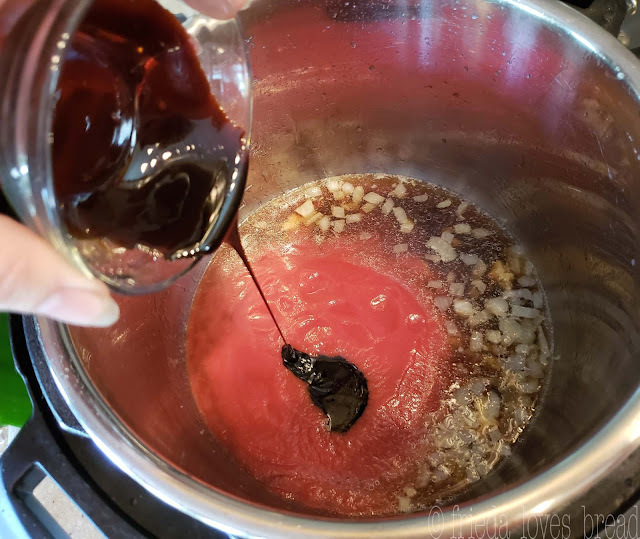 Into the middle of the pot, pour in the next 9 ingredients: apple cider vinegar, Worcestershire sauce, liquid smoke, tomato sauce, molasses, honey, tomato paste, salt & pepper. Do Not Stir.5. Close the lid, close the pressure valve, select HIGH pressure and the timer for 5 minutes.6. At the end of the cook time, use a Quick Release by opening the pressure valve.7. Open the pressure cooker and blend sauce with an immersion blender. 8. If you want a thicker sauce, combine 1 Tablespoon cold water with 1 Tablespoon cornstarch and mix well. Pour into the sauce and simmer on saute LOW until thickened, about 2-3 minutes. 9. If you do not have a blender, you can push the sauce through a fine mesh sieve to create a smooth sauce. SWEET: To every cup of barbecue sauce, add 2 Tablespoons of honey. SPICY: To every cup of barbecue sauce, add 1/4 teaspoon cayenne pepper. STOVE TOP: In a medium saucepan, soften onions over medium heat, about 2 minutes. Add garlic and smoked paprika, stirring until fragrant. Omit the 1/4 cup water, stir in the rest of the ingredients and bring to a simmer over medium high heat. Reduce heat to medium low and continue simmering uncovered, for 30 - 45 minutes, until the sauce has thickened. Optional: use a mixture of 1 T. cornstarch & 1 T. cold water and stir it into the sauce to thicken more quickly.